Do you have roof rats in Las Vegas or are you uncertain? Maybe you have heard noises on the roof at night, or even sounds throughout the home. The likeliness is that you have some rodent invading your home. Here we have all the information about roof rats for you to make identifying them more accessible. The roof rat has a dark brown or even a black color and measures up to 18-inches with their tail included. They can weigh up to 9-ounces and have a slender build with large ears and very little body hair. The 1st thing you will become aware of is their long cylindrical droppings around the home. These types of rodents live outdoors in debris, trees, or woodpiles with dense vegetation. The truth is once they move into the home they prefer making their nests in the upper level of your home. The roof rat is an omnivorous animal but has a vegetarian diet. The typical food they love to eat is plant material, vegetables, fruit, and tree bark. Their most prominent enemy is birds of prey, dogs, snakes, other rats, coyotes, owls, and cats. You may now be thinking what harm they can do; they are vegetarian – the answer they can cause more than just devastation. The most considerable difficulty you face is that these rats spread disease. When exposed to food in the home, they can transmit diseases and contaminate food. They do this by urinating or leaving feces on the foodstuff. Another way of getting sick is if they bite you. Not only do they spread sickness they cause structural damage through their nesting burrows. They gnaw on plastic, electric wires, upholstery, doorframes, and lead pipes. The biggest denominator in plants for roof rats is the Oleander green hedge. The hedge offers a refuge for them and creates an ideal path for them to travel. Do you have roof rat activity in the home? Have you seen rat droppings? Have you heard noises throughout the house in the attic or walls? How many times have you heard gnawing sounds or seen gnaw marks in the region of roof eaves? Do you have trees in your yard with fruit and noticed hollowed fruit? Are your pets around the home unsettled? Do you have damaged electric wires, plastics, and broken coverings around the house? If you responded yes to the questions, the likeliness is you have a rat infestation. Where can you find Roof Rats? The ideal places these rodents like to live be around swimming pools, patios, attics, laundry rooms, and garages. You may even see one running on power lines, as they prefer spending their life four-feet or more above the ground. In general, they prefer living in trees and travel along vines, power lines, and your roof. They can climb up rough surfaces, concrete blocks, and bricks to reach the top section of the roof. Not only can they climb they can even jump up to two feet up and four feet horizontally. They prefer moving around at night and thrive in chilly weather. The roof rat is most active from May through to November. If you have a garage or any other structure with an opening bigger than a nickel, they can enter it into your home. The rodent comes into the house if they want to feel safe from predators and it makes a great place to nest. 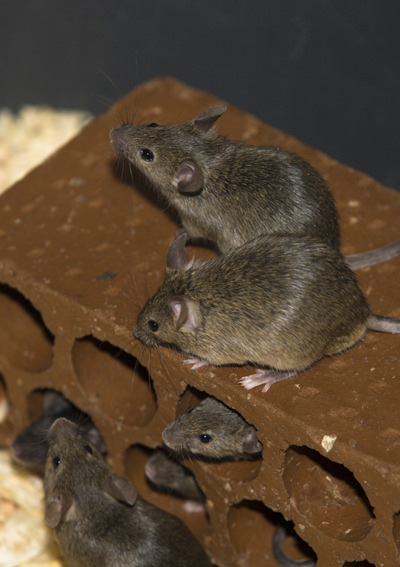 They can gnaw their way through drywall, move through pipes and even bite through aluminum siding. If they are unable to find any delicious fruits, they will eat dog & cat food, vegetables in the garden, stored grains, paper, soap and more. The rat will even eat through plastic pipes and chew through metal to get water. If you have seen roof rat sightings around your home or commercial, business the best is to report it to your local roof rat exterminator. They can help you with an effective way to take care of the problem.